Oversized picture frames (usually over 24" x 36") can be very heavy and will need extra support to be sure it stays on the wall safely. 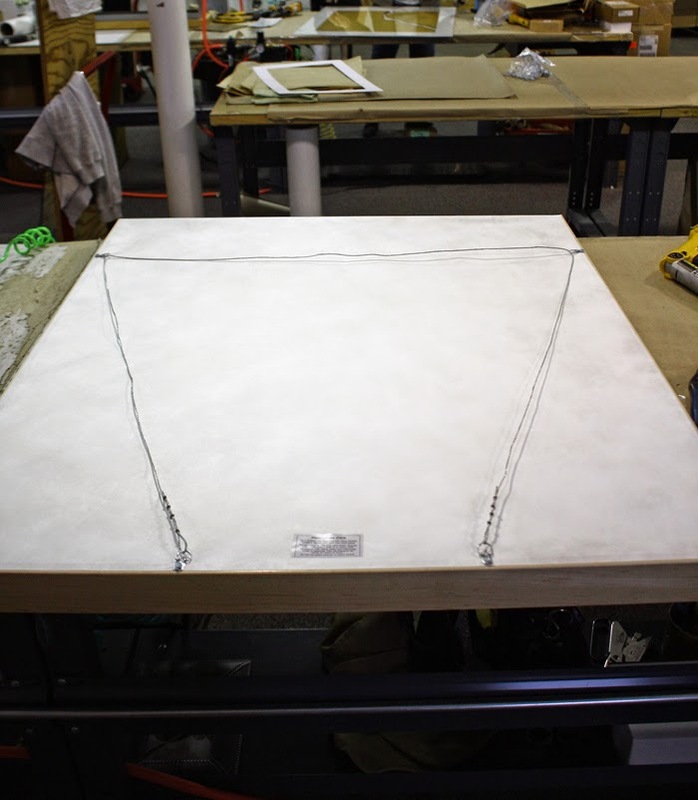 The method we reccomend is to install four eyehooks into the back of the frame. To find out how to properly wire the piece, read more.